This Pink & Purple Castle Bouncer is perfect for girls. It works on all Princess Parties and Birthdays. It comes with extra large step. Available for rent in Orange County and parts of Los Angeles County. View our delivery area for a complete list of all cities we serve. 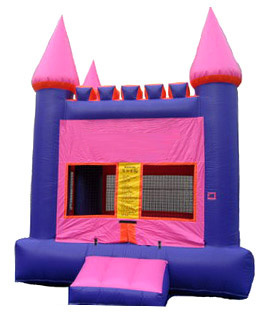 We from BounceHousesForRent.com will provide you with this new and clean Pink and Purple Castle Jumper. Our price includes delivery, setup, and pickup within our delivery area. We serve parts of Los Angeles County and Orange County, California. Note: Due to constant product development and improvement, delivered unit may differ slightly from picture above. My daughter loved this!! will definitely be renting again! Great company! They were the cheapest too. Would definitely recommend them to family and friend! 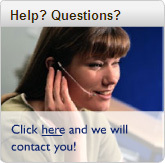 Great service, I especially liked that you confirmed the time and date via email. Very easy process. Awesome! This company was the best we've used. Had a great experience. Jesus the man that set up, and took down, was kind, and professional. First time using this company, and WILL use them again. Thanks! © 2006 - 2010 Go Jumper. All rights reserved.